A couple of weeks ago, we were asked to design shirts for two of Elena's nieces. 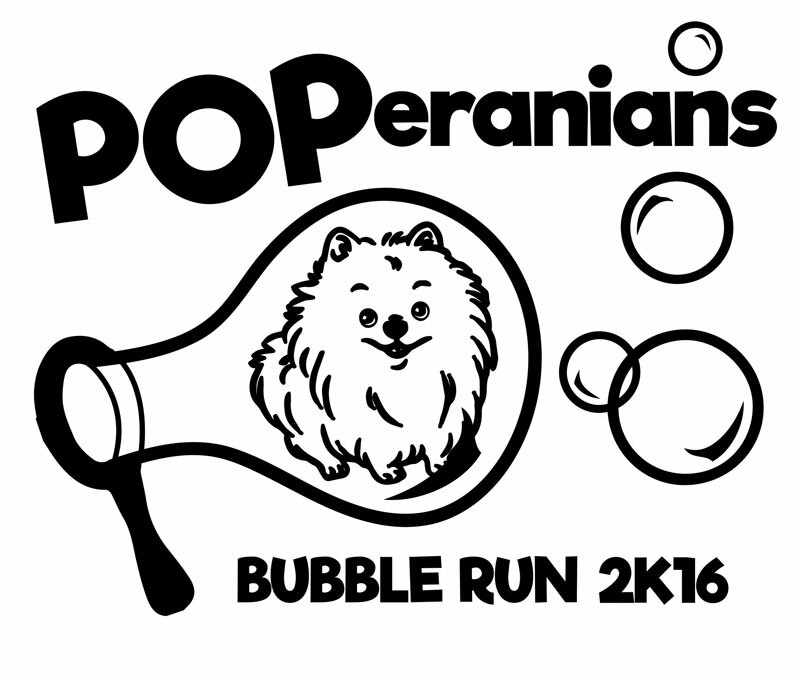 They had signed up for the Bubble Run and named themselves The POPeranians. There is nothing cooler than taking an idea, navigating it through the design process and then lifting up the screen to see it brought to life. We wanted to provide these girls with that experience, so with their mom's permission, we signed them up to be BETA testers for our Workshop service. Step 1: We had each of the girls sketch up a design concept. One of them used pen and paper, while the other two utilized an existing online site to position the design elements they thought would work. Step 2: We brought all the ideas together to discuss what elements to utilize moving forward. This portion of the workshop was important because it forced the girls to think about how the design communicated a specific message. After the girls told us what they liked/disliked, we created a design based on their sketches and feedback. Step 3: Production. Once the design had been approved, we scheduled a time to have the girls over to show them the production process from screen creation to the printed shirt they took with them when they left. While we are passionate about great design — that doesn't compare to our passion for sharing the screen printing experience with others. It doesn't matter if you're a newbie or an expert printer lacking your own equipment — it's our goal to make the art of silk-screen printing more accessible to everyone.